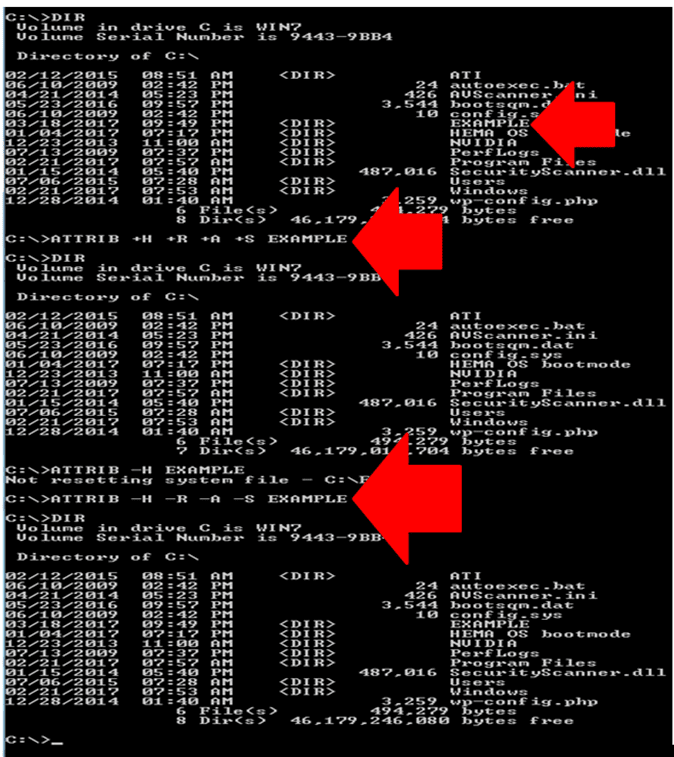 Another external command, use of the Microsoft Disk Operating System (MS-DOS) or commonly called as command prompt in your computer are called ATTRIB. This external command works as important command you can use in your computer. This works as attributes to set the files to read only, hidden, achieved, and a system. 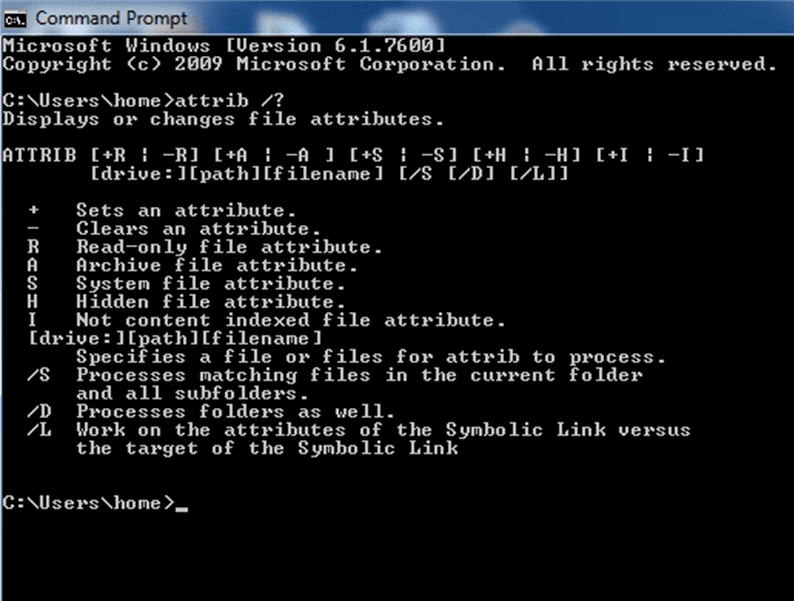 The general form of ATTRIB command is ATTRIB attribute file-name. See the image below. In the picture above, the filename is the name of the file (including drive and path specifiers) that will have its attributes changed or examined. 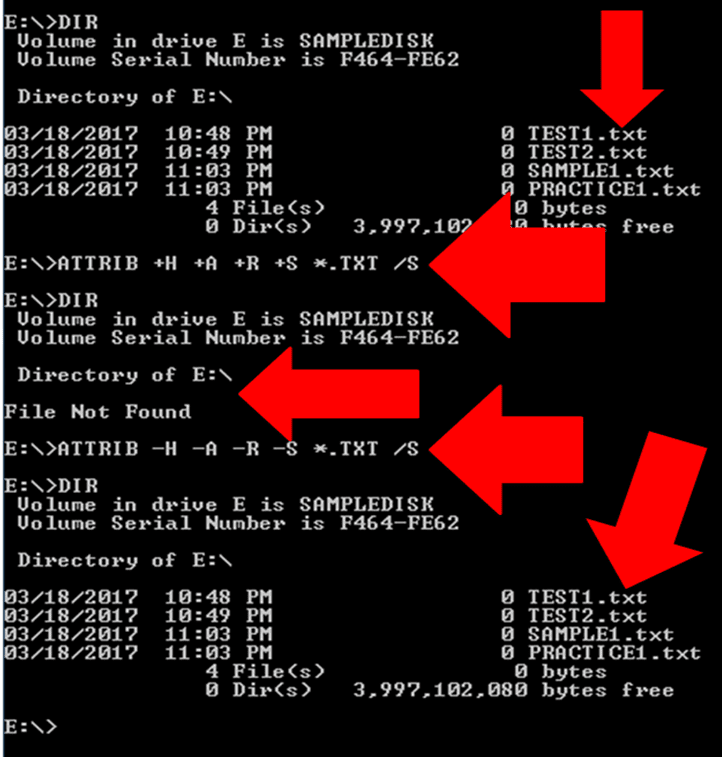 In the image above, the location of the file folder called EXAMPLE is located in drive c:, as command DIR in the command line of MS-DOS. Then in the next command line I execute ATTRIB +H EXAMPLE to enable to hide the file. You will examine in my next command of DIR. Then I use ATTRIB -H EXAMPLE to disable to hide the file. In the image above, I'm using all the attributes ATTRIB +H +R +A +S FILENAME. Where H is hidden, R is read only, A is achieved, and S is the system. Since I'm using + (plus) it is understood to hide the files using all the attributes. 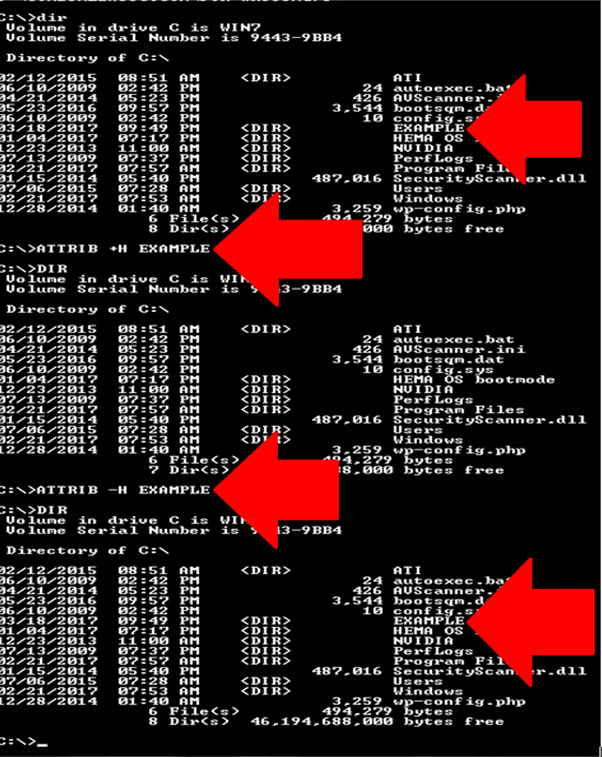 Then in my next command is I'm using the - (minus) to unhide the file. This image shown the use of the ATTRIB using the wildcard character the * (asterisk). This is very useful to hide or unhide the files with the same extension file, such as the .TXT or .DOCX or any other extension files. Using the attributes hidden, archived, read only, and system. Using the Attrib command of MS-DOS, this is very helpful in case your file is hidden like the cause of a virus and after virus scanning the file. 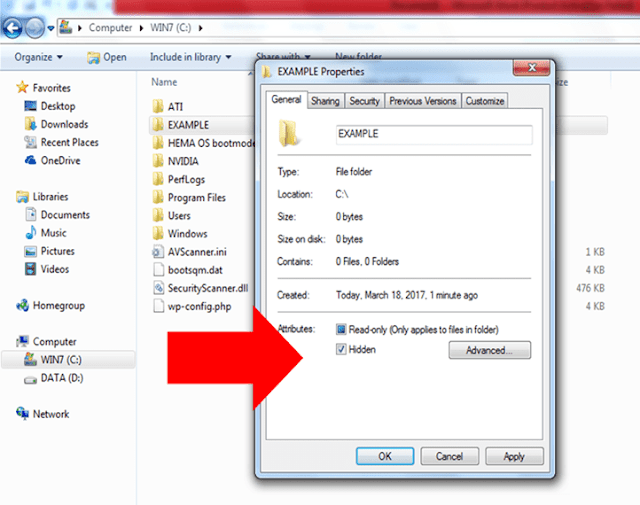 Because there are tendency your file will be hidden. Or you need to hide any files which are confidential.